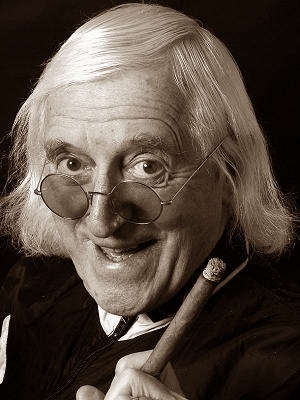 Well, it may be a little mean-spirited to compare Mr Meringue to the now much maligned Jimmy Savile but the two may have more in common than is considered healthy. After closing off that previous investigation, I had put Mr Meringue out of my mind but then he recently made a return appearance. Luckily, I have a memory like something that remembers a lot. Anyway, I was at the same shopping mall where Mr Meringue previously had his car 'stolen', minding my own business having a very average curry for lunch. On a side note, I don't know why I keep getting the curry when every time it is a disappointment. Perhaps I'm just hoping that one day it will be different? This particular day as I sat down, I immediately noticed a decrepit old man (that would be Mr Meringue) haranguing two unfortunate teenaged girls at a nearby table. I suppose he thought he was being funny, and possibly even charming, but what came across was some wrinkly old man shouting inanities to a couple of nervous girls who clearly did not relish his attention. And then he saw me. Saw me but clearly did not remember me. Perhaps he thought to include me in the hilarity, and he yelled something out to me in a joking fashion - except it wasn't particularly funny - and then he turned his attention back to the two girls who by this stage were making a hasty strategic withdrawal. That is what you Americans out there call a retreat. Ever the trier, Mr Meringue quickly honed in on another couple of young girls who were looking for a table to sit at. He literally was shouting across the breadth of the food-hall at them, waving his walking stick (I'm not making this up!) and trying to clear a table for them. It wasn't comical, it was ludicrous with just a hint of creepy. You might recall in my previous post concerning Mr Meringue that I had inadvertently seen notes on his police file regarding grooming. Without managing to endear himself to any prospective young women, Mr Meringue stomped off, no doubt to be unable to locate the whereabouts of his vehicle. But that isn't the end of my story just yet. Through contacts I have learned that an older gentleman had recently had to be escorted out of a certain drinking establishment because of his unwanted physical connection with female patrons. Naturally this gentleman has turned out to be none other than our Mr Meringue and, due to his insistence on being heard (while waving his walking stick) and making threats, he has now been trespassed from said premises. Apparently, he was keen on teaching those young whippersnappers a thing or two and has tried re-entering a number of times. Time to call it a day, Mr Meringue.